A ROOT and branch review of licensing legislation should be conducted ahead of the tenth anniversary of the Licensing (Scotland) Act 2005 coming in to force to fully assess how the current system is working in practice. 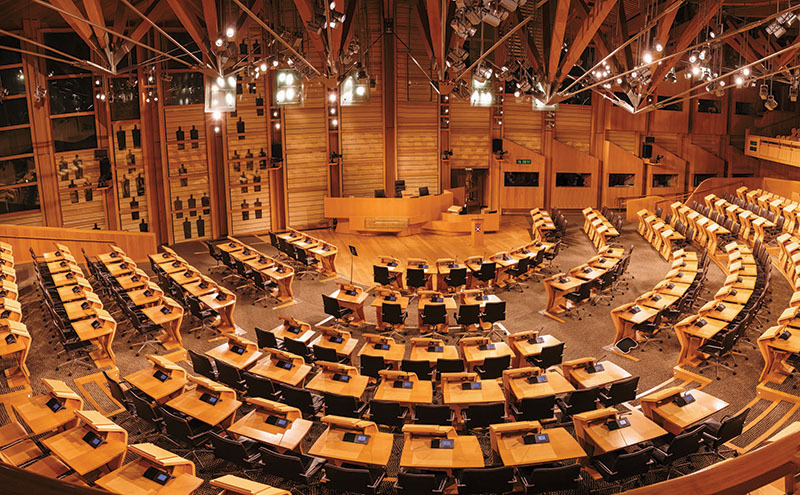 • A number of measures approved by the Scottish Parliament have yet to be brought in. Speaking at the Scottish Licensing Law & Practice (SLLP) conference last month, Mairi Millar, clerk to Glasgow licensing board, said her own personal view is that there must be no further regulation tabled until a full assessment has been carried out before the ten-year mark in two years’ time. Outlining the volume of licensing legislation and regulation already in place and pending, Millar said that in her opinion there’s a danger more regulation could affect compliance. She also highlighted the levels of time and bureaucracy involved in dealing with major variations, many of which “have little or nothing to do with the sale of alcohol”; and she suggested “tick-box operating plans”, which “often don’t actually tell us how the premises operates”, should be replaced with an operational statement and a “risk-based” approach to assessing applications. “I would like to see a pause in further regulation and a full review of how the licensing system works in practice,” Millar told the conference. “I think there is sometimes a feeling in the trade that boards place restrictions or barriers to trade. “Of course, most of these restrictions come from all the legislation. “It strikes me that the more regulation we have – the more complex the system becomes – the less likely there is to be compliance by the trade. Licensing lawyer Jack Cummins, editor of SLLP and organiser of the conference, backed the call for a full review of the existing legislation. “This is the first time someone has said ‘let’s review it and see where we are at the moment and if it’s working’,” said Cummins. “There have been calls for a consolidation Act but what’s the point in consolidating it if it’s a pile of mince? Calls for a review of Scottish licensing legislation come as a House of Lords committee conducts a review of the Licensing Act 2003 in England and Wales; the committee is due to report in March. A spokeswoman for the Scottish Government said: “We always try to make sure legislation is not unduly burdensome and complicated – that is precisely why the Air Weapons and Licensing (Scotland) Act 2015 addressed parts of the law which were not operating as effectively as they could have been. “The Scottish Government is currently focused on bringing in a number of improvements to the liquor licensing regime within the Licensing (Scotland) Act 2005 that have already been approved by the Scottish Parliament, and the Home Office Immigration Act 2016 is also expected to make amendments to liquor licensing.